For visitors who would like to learn more about our history of racial injustice and its legacy before or after visiting the Museum and Memorial, the following resources are available online. Slavery in America documents American slavery and Montgomery's prominent role in the domestic slave trade. Lynching in America documents EJI's multi-year investigation into racial terror lynching in the United States during the period between Reconstruction and World War II. Segregation in America documents how millions of white Americans joined a mass movement of committed, unwavering, and often violent opposition to the Civil Rights Movement. A History of Racial Injustice Calendar and companion website are designed as helpful tools for learning more about American history. 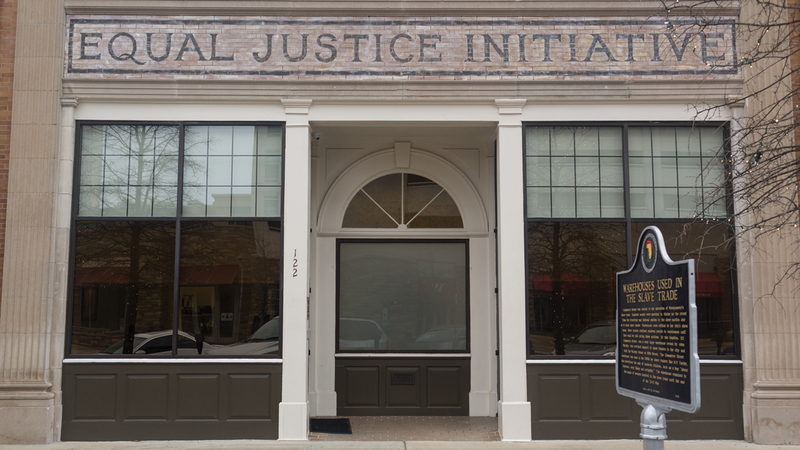 EJI's Community Remembrance Project is part of our campaign to recognize the victims of lynching by collecting soil from lynching sites, erecting historical markers, and creating a national memorial that acknowledges the horrors of racial injustice. EJI Marketplace is now offering resource materials and items from our gift shop for sale online. Just Mercy and Just Mercy (Adapted for Young Adults) is a New York Times Bestseller by EJI director Bryan Stevenson that presents the story of EJI, the people we represent, and the importance of confronting injustice. The Sun Does Shine by EJI's Anthony Ray Hinton is an Oprah's Book Club selection and has been praised by critics as a powerful and revealing story of hope, love, justice, and the power of reading. For more information about the work of EJI, please visit eji.org.